Our much loved father, papa, uncle and friend passed away at Ridgeview Lodge in Kamloops on December 29, 2013. Johnder was predeceased by his wife Mary and his brothers Jaginder, Jogie and Karma, his sisters Cecilia, Jinda and Marie. Johnder will be sadly missed by his daughters Linda Basran of Kamloops, Sandra (Ron) Silvey of Kamloops and his son Michael of Chilliwack. His three grandsons were his pride and joy, Dustin Silvey, Tyler and Brayden Basran. Also mourning Johnder are his remaining three sisters Yvonne, Rosemary and Susan as well as numerous nieces and nephews. His absence will be keenly felt by his dear friend and caregiver Michelle Menhenick of Lillooet. Johnder loved life and maintained his interest in current events and especially politics. He was one of the few people who called the last provincial election for the Liberals and he was proved right. Johnder enjoyed fishing, travelling, gardening and socializing with friends. Born in Kelowna, Johnder attended Rutland and Kelowna schools. Married to Mary Biln after a seven year engagement and were the first couple to get married at the Abbotsford Sikh temple in non-traditional bridal /groom's clothing. Johnder was the 3rd born child of Bhagat Singh and Udham Kaur Basran, he grew up on a fruit farm and cattle operation in the Rutland community. His first business was operating the Chevron Station on Hwy 33. He moved into heavy equipment operation which operated in the Okanagan and the Kootenay regions. Johnder, Mary and their two girls moved to Lillooet in 1959 to establish Lillooet Timber with his father-in-law Milkit Biln. He then went on to operate Basran Sales and Service Chevron Station and the Nissan dealership. His last business included Sanbar Contracting and asphalt and road building company. Not only did he successfully run businesses but he was a civic minded man. 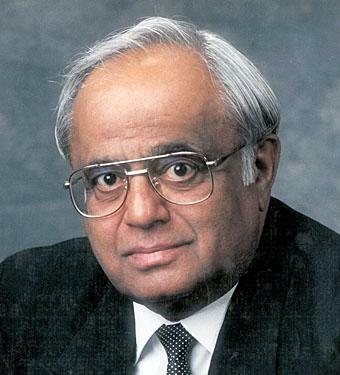 He was the first Indo-Canadian Mayor in Canada and fulfilled three terms as Mayor of Lillooet. He participated in many boards and organizations such as Board Chair SD #29 Director South Central Health Unit, Board member of Thompson Regional Health Board, Director Lillooet Chamber of Commerce, District Deputy and Exalted Ruler BPO Elks #46 and District #5 and Director of Squamish-Lillooet Regional District. A viewing will be held on Friday, January 3rd, 2014 from 6:00 p.m. until 8:00 p.m. at Schoening Funeral Chapel. A Funeral Service will follow on the next day, Saturday, January 4, 2014 at 1:00 p.m. in the Schoening Chapel, 513 Seymour Street Kamloops with cremation to follow at Pine Grove Crematorium. A Celebration of life for Johnder will be held in Lillooet on a later date. The family would like to express their gratitude to Dr. Jennifer Thomas and the caring staff at Ridgeview Lodge for their kindness and compassion throughout Johnder last year. Should friends desire, donations in Johnder's memory may be made to Lillooet District Hospital.